David Zacks, M.D., Ph.D., a University of Michigan professor of ophthalmology and visual sciences, remembers the moment in 2010 when he discovered a peptide with the potential to preserve the vision of people with retinal detachment. This age-related condition occurs in one in 10,000 and can usually be corrected through surgery to reattach the retina. But cells continue to die after the diagnosis and before surgery can occur, so patients can still be left with significant vision impairment. The peptide Zacks found prevents the cell death pathways from being activated, keeping the cells alive during the period of detachment before surgery and increasing the chance that permanent vision can be restored. Zacks was eager to find a way to translate his discovery into a drug for patients, but knew he needed help. With the help of the U-M Office of Technology Transfer, which works with researchers throughout the university to help commercialize their discoveries, Zacks was able to found a startup, ONL Therapeutics. The young company has raised $3 million through grant funding and angel investing. Zacks hopes to soon start the first clinical trial and tap into a $12-billion global market for both retinal detachment and macular degeneration. Tech Transfer, which provides a team to help faculty license their inventions to companies or create new startups, “helped me think through how you morph this abstract idea into something more concrete,” he says. Zacks' discovery is just one of many that the Medical School is now seeing commercialized, and the current fiscal year has been a record one. Of the inventions spearheaded through Technology Transfer, 40 percent are from Medical School faculty. 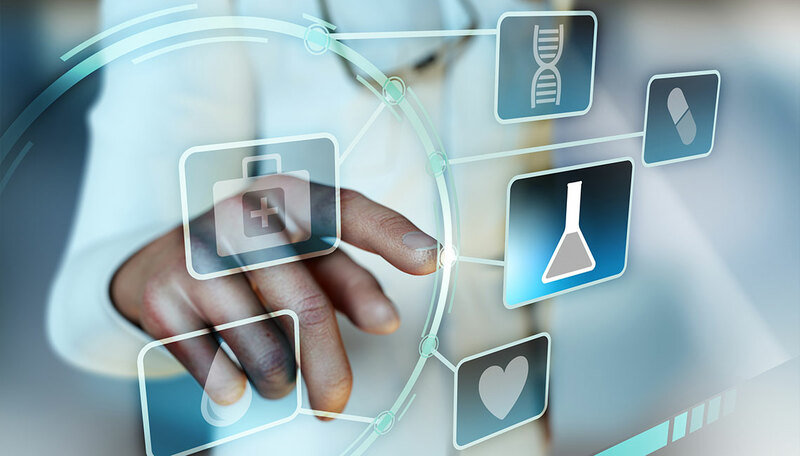 These include everything from therapeutics, to devices that help diagnose diseases and software technologies that improve how patients manage their illnesses. Medical School researchers reported 166 new inventions in the current fiscal year — 33 more than the prior year. Tech Transfer licensed more inventions and launched more startups than ever before: 74, including 10 new startups, compared to one last year. Licensing revenue for the Medical School also set a record, at nearly $75 million, a total that comprised about three quarters of the revenues from all inventions throughout the university. Revenues generated by innovation are distributed to different university units, where they are reinvested in research and are also shared with the inventors to finance the next big idea. Ken Nisbet, the associate vice president for the Office of Technology Transfer, said the acceleration of Medical School inventions is due to two factors. The first is a partnership with the Medical School's Fast Forward Medical Innovation program, or FFMI. Part of the Medical School Office of Research's Strategic Research Initiative, FFMI partners with Technology Transfer and acts as an innovation navigator for Medical School researchers and their potential collaborators. The second driver is a $650,000 grant from the William Davidson Foundation for Tech Transfer’s Digital Discovery center that substantially increased health IT software inventions. FFMI launched in January 2014 and was made possible through funds from the William Davidson Foundation (2.9 million dollars), the Michigan Economic Development Corporation (2.4 million dollars), and matching funds from the U-M Medical School. FFMI programs support a variety of funding and education initiatives that are offered in close partnership with Technology Transfer and the College of Engineering's Center for Entrepreneurship. “Our job is to enable the faculty in every way to bring their great biomedical ideas forward to the market,” said Connie Chang, FFMI's managing director. FFMI has three elements: commercialization and entrepreneurship education; business development and industry partnerships; and an innovation navigator offering faculty mentorship and product development funding. “The combination helps faculty no matter where they are on their innovation roadmap, from the investigator who has sketched an idea on the back of a cocktail napkin, to someone who is ready to spin off a business,” says Kevin Ward, M.D., a professor of emergency medicine and executive director for FFMI. In order to encourage commercially focused innovation, the U-M needed to empower faculty to pursue those types of projects. Up until recently, faculty felt that innovation and product development was not as highly valued as writing the next groundbreaking paper or getting the next large National Institutes of Health Grant, Ward says. “We really needed a way to make it easier for our faculty to innovate and understand the system,” he says. Ward was able to work with the U-M Faculty Affairs Office to rework promotion and tenure guidelines so that innovation and entrepreneurship would be valued at a higher level, encouraging faculty to engage in what were previously seen as high-risk projects. For example, FFMI funding and guidance are allowing Melvin McInnis, M.D., the Thomas B. and Nancy Upjohn Woodworth Professor of Bipolar Disorder and Depression and professor of psychiatry, to bring to market a smart phone app that monitors the physical features of a person's speech during routine phone conversations to detect potential bipolar manic episodes. McInnis expects to launch a startup, PRIORI, within the next year. Top photo: Medical School researchers reported 166 new inventions in the current fiscal year — 33 more than the prior year.